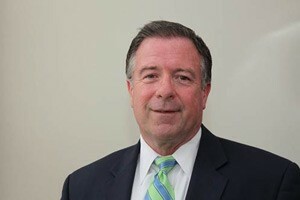 Bill Shelow, CLU, ChFC, CPCU, is president and CEO of LifeMark Partners, in Baltimore, MD. Throughout his career, he has guided insurance companies and a brokerage agency through tidal changes in products and distribution. Since 2011 he has headed LifeMark, a partnership of brokerage general agencies and other organizations that distribute life insurance to financial professionals in retail sales. The industry, while remaining rock steady, is moving to meet the needs of today’s consumers for protection, wealth accumulation, and retirement income. We talked with Bill about the evolution of wholesale distribution and what needs to be done to find efficient and effective ways of getting consumers the life insurance they need. L&HA: What is LifeMark Partners? BS: LifeMark Partners is an independent national marketing organization comprising 37 limited partners throughout the country, all independently-owned. Our partners have different business models — traditional brokerage general agencies, organizations that focus on point-of-sale resources for financial institutions and advisors, broker dealer insurance operations, and a direct-to-consumer organization. We exist to leverage our partners, carriers, and industry resources to generate the best opportunities for all stakeholders in the life insurance industry today. L&HA: You have seen dramatic changes in your years in the insurance business. BS: I started my career as a life insurance agent in 1979. For 25 years I was with Harleysville Insurance and served as president and COO. After that I ran a BGA and then accepted the opportunity to lead LifeMark Partners in 2011. I’ve seen a long evolution in life insurance products. When I entered the business whole life was predominant. In the mid-’80s, the first universal life products were introduced, bringing a world of change. L&HA: How would you characterize that change? BS: Stock insurance companies were having trouble competing on the whole life platform with participating products that had dividends, so they came up with the concept of universal life, which provided for excess interest accumulation. When interest rates started coming down carriers introduced guaranteed universal life products. When new regulations required increased reserves for these products, we saw the next generation of product, indexed universal life. L&HA: How has distribution evolved to support these changes in product? BS: When I entered the business it was dominated by career life insurance agents. Brokerage distribution only existed to handle substandard cases. At one time there were over 430,000 life insurance agents; we’re down to a third of that today. As companies started to outsource distribution and have their career agents become independent, they outsourced management of distribution and training and education to the brokerage world. Many brokerage general agencies formed study groups that developed best practices among themselves and also got together for better commissions and efficiencies of operations and services. That’s how marketing organizations like LifeMark began. Now distribution for life insurance is focused on additional channels, other distributors touching consumers like financial advisors, RIAs, property and casualty agents, bank advisors, and health insurance brokers. L&HA: Was there a specific disruptor along the way? BS: The driver in distribution changes was the carriers looking for more efficiencies. Career distribution is an expensive model. Retention rates for new agents were very low, well under 20 percent. Outsourcing to brokerage distribution made it more of a variable cost and more efficient. it all gets down to distribution. How are we going to sell to the Millennials? The Internet is showing some success, but it’s not driving huge sales results. L&HA: Have demographic and cultural changes affected life insurance sales? BS: The role of life insurance for families and businesses still exists. With the growth in the economy, we see higher face amounts being sold today while the number of policies being sold is lower. Insurance meets the same needs; we just need to find additional ways to distribute products. L&HA: How is LifeMark responding to these new trends? BS: We provide our partners with resources that help differentiate them in the life insurance marketplace. For example, we worked with Swiss Re directly to develop an exclusive capacity program with one carrier that allows us to provide $70 million per person capacity on one life without triggering access to reinsurance pools. We have a program with Gen Re which allows us to go directly to them for a second look at a case. We have semi-exclusive access to LifeTrends, a premier product-benchmarking tool that identifies the best product for a producer and client in minutes. L&HA: Too many Americans are under-insured. Placing more coverage for more consumers would benefit everyone. BS: As we go along in building distribution in the life insurance market today, we need to come up with the absolute best thinking and collaborative approaches to penetrate the huge under-served market. We believe we have the best BGAs in the country, and we plumb their intellectual capital to share ideas to broaden markets, understand changes in underwriting, and continually use best sales practices. L&HA: What comes to mind as an important way products are meeting the needs of consumers? BS: We’re focusing on using life insurance to accumulate capital to supplement retirement income. Folks have the opportunity to contribute to 401(k) s and other methods for accumulating retirement savings, but in many cases that’s not going to totally meet their retirement needs. L&HA: Are insurance companies meeting increasing expectations for personalized sales and customer service? BS: Insurance companies are looking for ways to increase connectivity with policyholders. The needs for life insurance have a long duration. Companies are looking at big data and at ways to improve their relationship with policyholders. We have a carrier that developed a rider around fitness and established a connectivity with policyholders for monitoring their fitness throughout the policy period. Carriers are also working on predictive analytics based on lifestyle data of customers which could augment or replace components of medical underwriting. L&HA: Are there other ways carriers are meeting Millennials where they are in life? BS: Companies are making progress in developing non-invasive underwriting processes, aimed at the Millennial market. But it all gets down to distribution. How are we going to sell to the Millennials? The Internet is showing some success, but it’s not driving huge sales results. It’s up to us to show what life insurance can do to protect families and businesses, to provide motivation and inspiration to buy life insurance. This used to be done by life insurance agents. Now we need to do it through industry advertising and through other folks they work with, like financial advisors, bank advisors, and property and casualty agents. L&HA: Every generation faces unique circumstances and their future is now.